For starters, this poster plays off the one of Ellie from last year’s Outbreak Day. Artist Kevin Tong is behind both pieces, so it’s not a stretch to think he’s creating a comparison between Ellie and Joel here, if that is in fact Joel’s arm. Ellie’s poster is more pleasing on the eyes, featuring lighter colors, branches in the background and a hand loosely holding a blade. 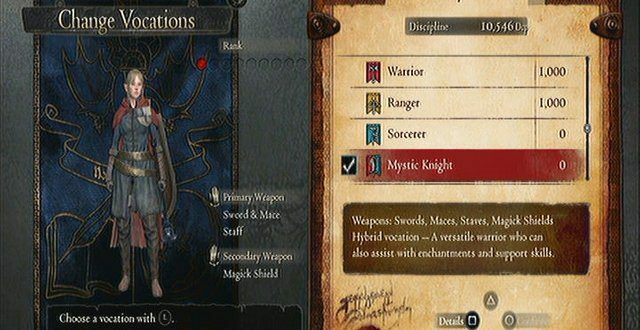 We also see the inside of her forearm surrounded by plants and butteflies. On the flipside, this year’s Outbreak Day poster presents a darker and more aggressive tone. 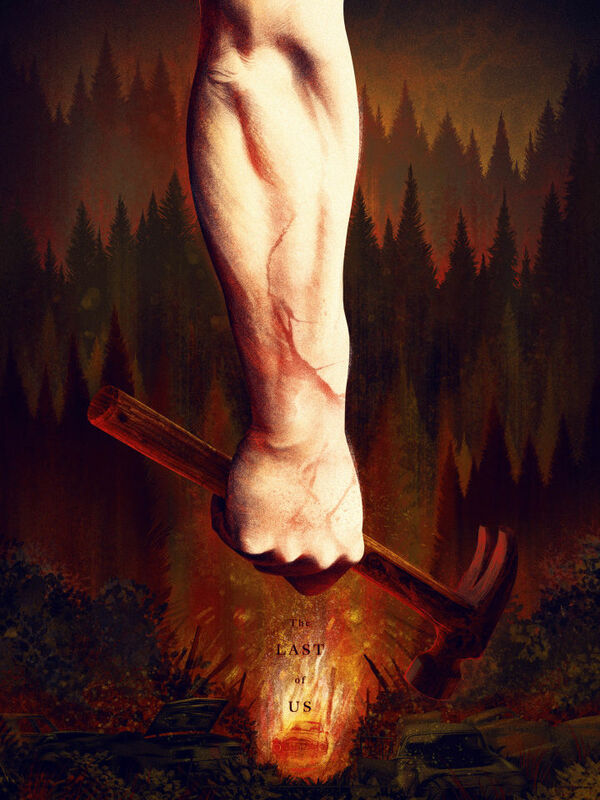 The forearm is intensely gripping a hammer with the shadowy forest behind it. The juxtaposition makes you wonder if Ellie and Joel (if that is indeed Joel’s arm) could be separated in The Last of Us Part II. And they’re possibly on two totally different paths: one of light and one of darkness. 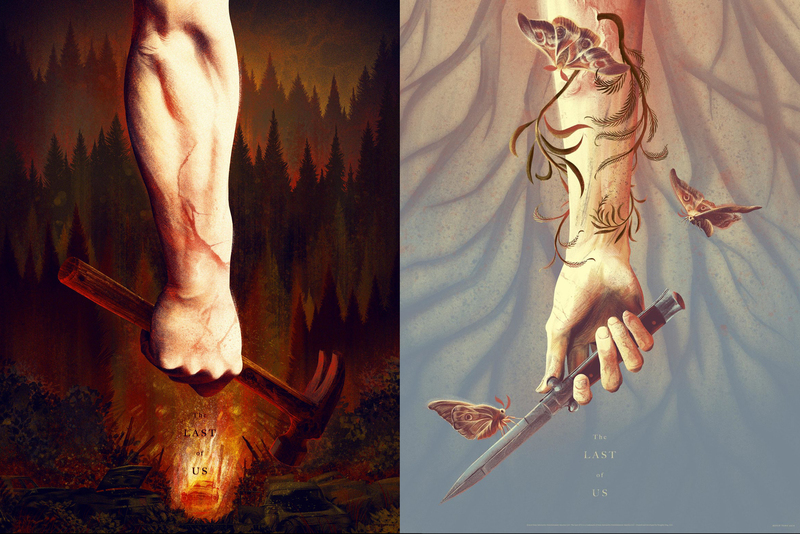 Last year’s poster also teased the design of Ellie’s tattoo that was revealed when The Last of Us Part II was announced, but we’re not sure yet what the markings on the arm in this year’s poster could represent. But not everything is dark on the newest Outbreak Day poster. The fire burns brightly, and if you look closely, it also offers the outline of a wolf’s face. 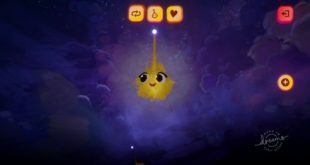 The car in flames serves as the wolf’s nose, and the trees above the hammer work as the ears. See it? The fire creates an outline of a wolf’s face in this year’s Outbreak Day poster. The question is: what does the wolf represent? Could Naughty Dog be teasing that wildlife will play a greater role in the sequel? Are wolves and bears being mutated by the Cordyceps fungus? Or could the animal symbolize that Joel is a lone wolf in The Last of Us Part 2? Last but not least, Naughty Dog seems to once again strongly hint that the sequel will take place in the Pacific Northwest. The wolf and forest help reinforce the theory that The Last of Us Part 2 is set in Seattle. It’s possible Naughty Dog may confirm more details about the sequel at PSX later this year. The Last of Us Part 2 was officially announced at PSX 2016, for instance, and the game was a no-show at E3 2017. Earlier this month, Last of Us co-director Bruce Straley departed Naughty Dog. But it was already known that Straley wasn’t returning for the sequel. 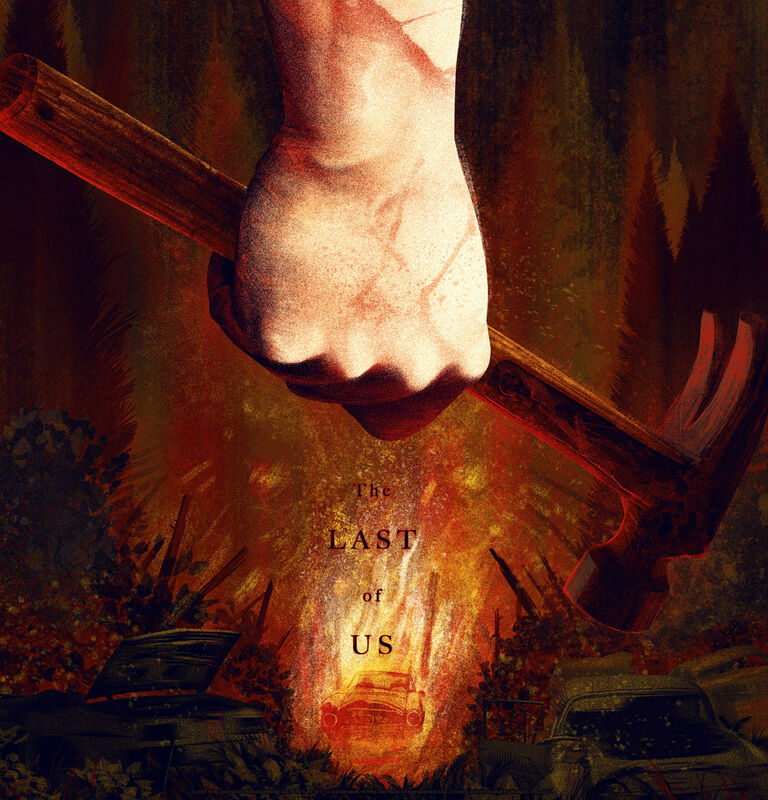 Be sure to share your thoughts, theories and findings from the new Last of Us Part 2 poster in the comments below.